Multifunction SMD Test Tweezers: Convert any digital multimeter with 4mm jacks into a tweezer-meter. These tweezer probes allow for tweezer-like precision while measuring SMD. 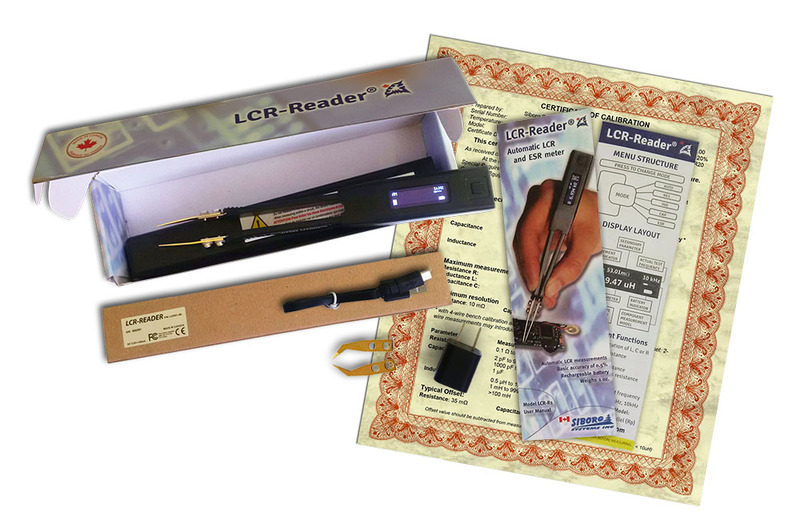 LCR-reader, like the popular Smart Tweezers LCR-meters, are a lightweight, digital LCR- and ESR-meter that automatically identifies components with a 0.5% basic accuracy. Based on the Smart Tweeezers meters, LCR-Reader offers the same easy-to-use functionality with less features. LCR-Reader's gold-plated tweezer probes are able to handle components to a 0201 size, either mounted or loose. When the device has a hold on a component, LCR-Reader will determine thetype of component and best test parameters. 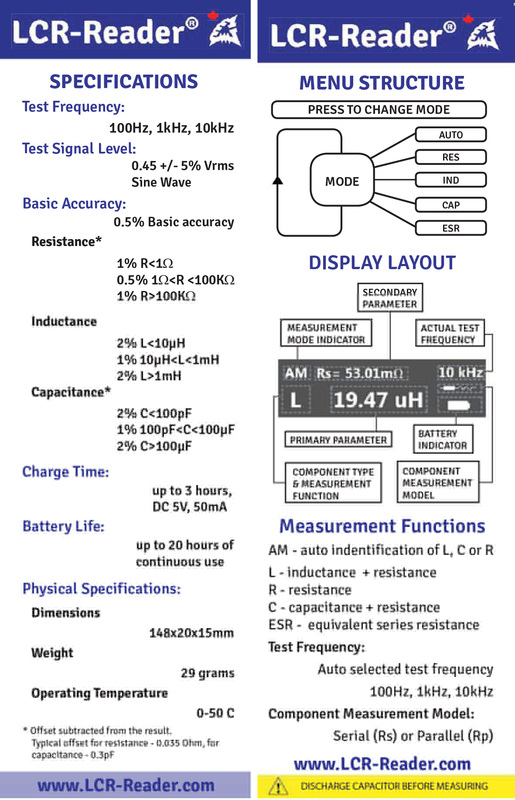 The impedance values, component type and test frequency used are instantly displayed on the embedded OLED display in the handle of the device. Siborg has recently worked with the Institute of Automation and Electrometry at the Russian Academy of Sciences in creating a new calibration fixture that is able to provide periodic calibration for LCR-Reader. After its completion, Siborg sent the fixture to Navair Technologies in Toronto, Ontario where it was verified. With this verification, Siborg is able to offer NIST traceable calibration certificates for LCR-Reader. This comes as a relief to customers who want a device like Smart Tweezers but without the high price and require their test equipment to be calibrated periodically. 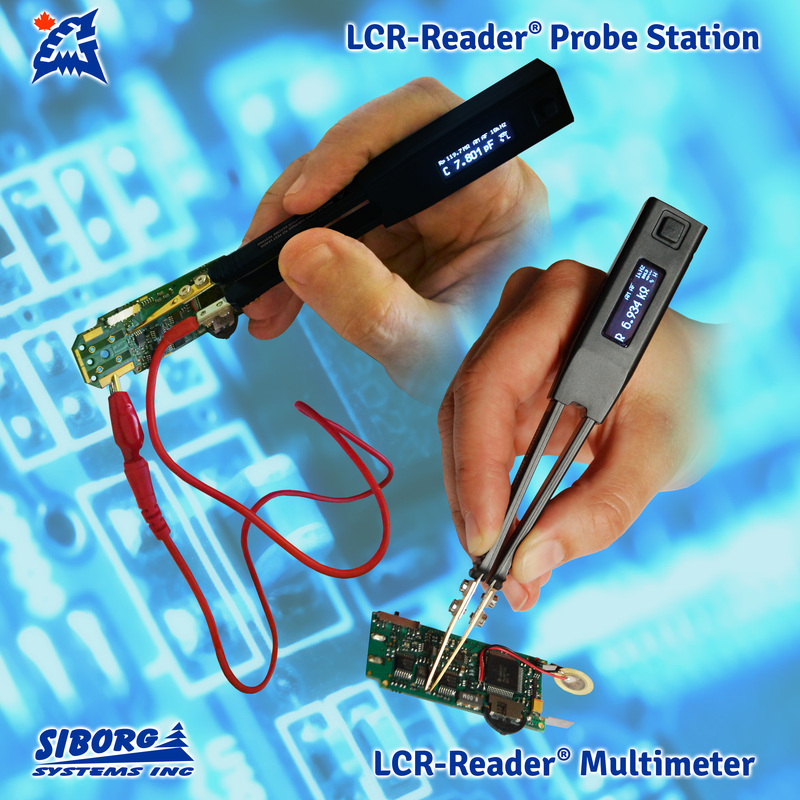 Siborg offers many different options for buying LCR-Reader in their online store. Customers can purchase task kits, which are pre-bundled options of an LCR-Reader and accessories, including spare probes (bent, straight, or precision), batteries, chargers and an NIST traceable calibration certificate. These kits provide a discount compared to buying each piece separately. LCR-Reader Professional is another pre-bundled option. This set includes a device, charger, spare bent probe, an extra battery and an NIST traceable calibration certificate. Smart Tweezers is the leading product in Siborg's products. This LCR- and ESR-meter has a higher basic accuracy of 0.2% and additional features, including continuity/diode testing, component sorting and adjustable test frequency and signal levels. Like LCR-Reader and other Smart Tweezers models, the device will automatically determine the type of component and best test parameters before measuring with a 0.2% basic accuracy. Smart Tweezers uses a 4-way joystick-like navigation that allows users to easily change basic test settings from the home screen by pushing the button directionally. To enter the menus, press down on the button; the menus offer more customization for measurements, including setting holds, a semi-automatic offset subtraction, and more. Based on the ST-5S model, the Smart Tweezers with Bluetooth offers the same features and functionality with a 0.2% basic accuracy but with the added benefit of real-time measurement recording. The device connects using a USB receiver stick with any communication software. The measurement values are sent over Bluetooth in a comma separated string of values that shows what was on the display at the time of measurement. The data can be saved into a file or database for later processing. The ST5S-BT is an essential component when measurement results must be recorded for quality or later reference. Note: the USB reciever stick is necessary when connecting to a computer. For mobile devices, there are dedicated apps for Android and iOS available in their respective stores. 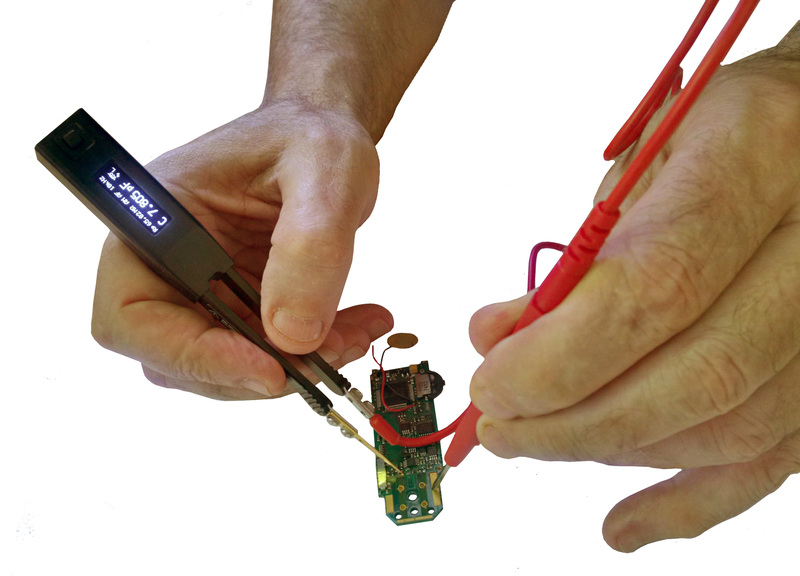 This kit converts LCR-Reader and Smart Tweezers like LCR-meters into a probe station. The shielded two-wire connector allows LCR-Reader and Smart Tweezers devices to test a complete PCB and measure larger components than the tweezers' spread with virtually no extra parasitics. The kit includes 5 replaceable probes: long and medium pin-probes, spade connector, alligator clips and 4mm multimeter plugs. The LCR-Reader Probe Connector is easy to install: remove one of the gold plated tweezer-tips from LCR-Reader and replace with the flat end of the Probe Connector's wire, making sure that the gold stripes match those on the LCR-Reader's flex cable. Return the screws and begin measuring. Designed primarily for testing through-holed and surface-mount LEDs, this tweezer-tester is able to also preform continuity tests as well as measure shorts, switches, wires and circuitry. 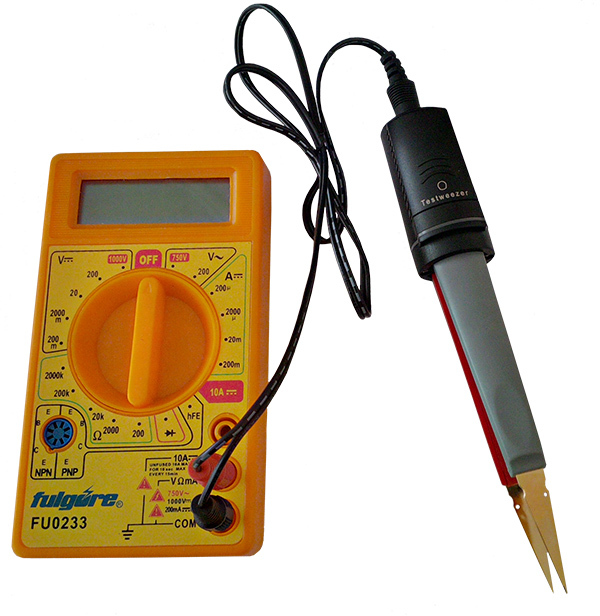 The device comes with a special connector cable that connects the device to a multimeter allowing it to be used as tweezer-probes. 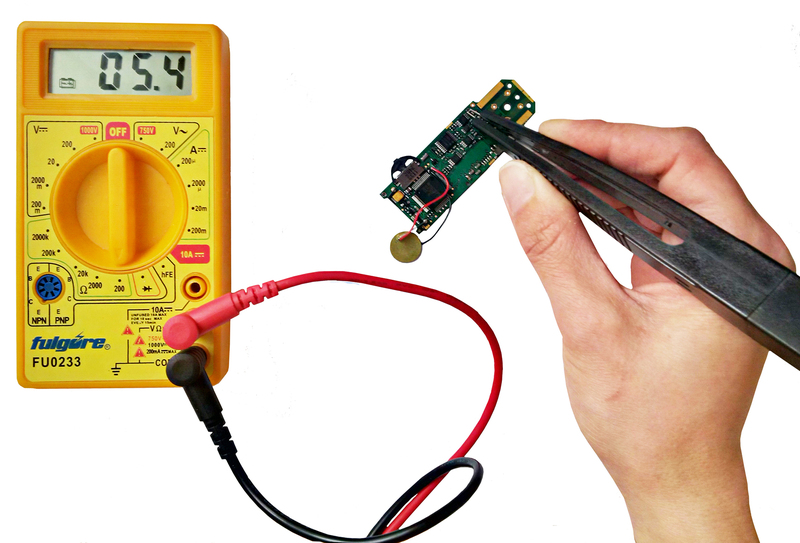 When connected to a multimeter, LED Test Tweezers can measure voltage and L, C, R.
The phosphor bronze gold-plated tweezers are able to grasp small components on a PCB. The device uses as 12VDC output with adjustable current ratings of 20 mA, 10 mA and 5mA. The colour-coded arms (red for anode and grey for cathode) make it easy to determine the polarity of the LED. 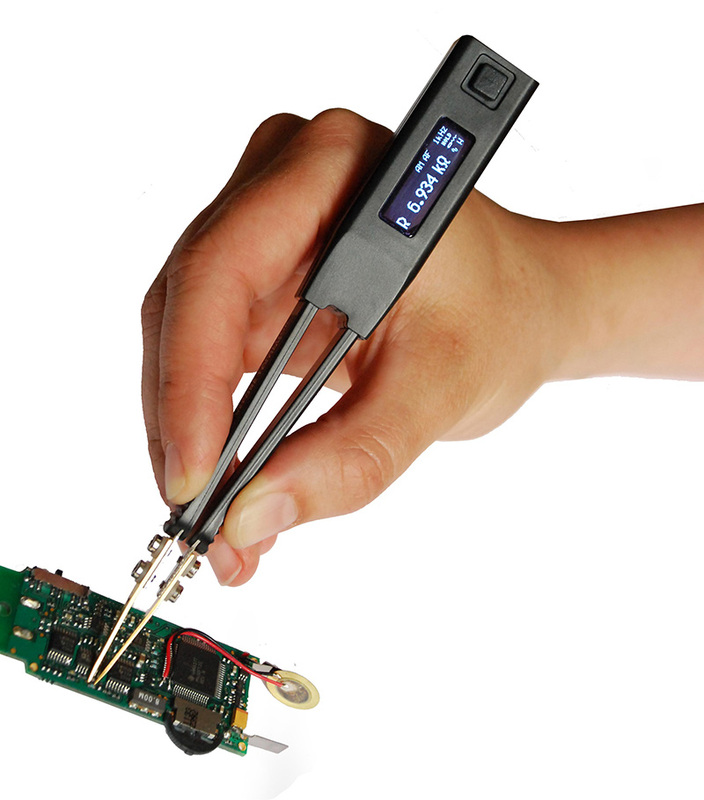 These tweezer probes plug into multimeters with 4 mm jacks and add tweezer-probe precision while measuring components. SMD Test Twezers are able to measure components to a 0402 size (metric code 1005). This device works best for measurements that do not require high accuracy; there are some parasitics. For Inductance, the device shows an inaccuracy of 1 mH and 30 pF offset for capacitance. The wires offset the device by 0.3 Ohms. The tweezer-arms are colour coded for easy polarity detection (red for anode +, grey for cathode -).